As part of its Black History month celebration, Indiana University Northwest tried something different, an initiative that not only served its current student population, but also benefited the local community. Instead of limiting the heritage month’s programming to just the campus, James Wallace, IU Northwest’s director of the Office of Diversity, Equity, and Multicultural Affairs—strategically supported by Indiana University’s Office of the Vice President for Diversity, Equity, and Multicultural Affairs—decided to specifically target high school students in Gary, Ind., where IUN is located. 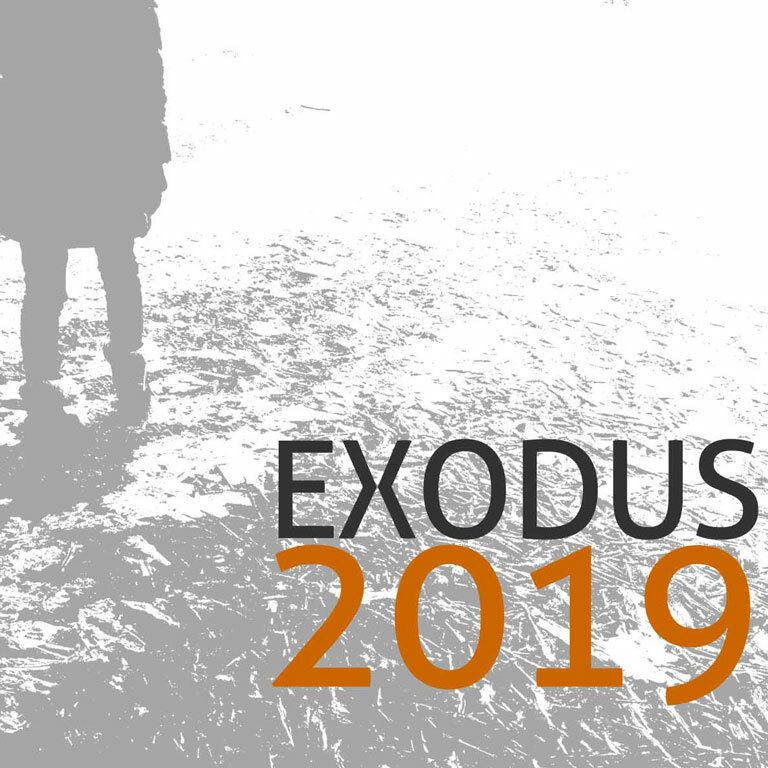 One of the Black History Month events held at IUN was a play, “Exodus 2019,” a one-woman show by local artist and community organizer Davina Stewart, a Gary native. 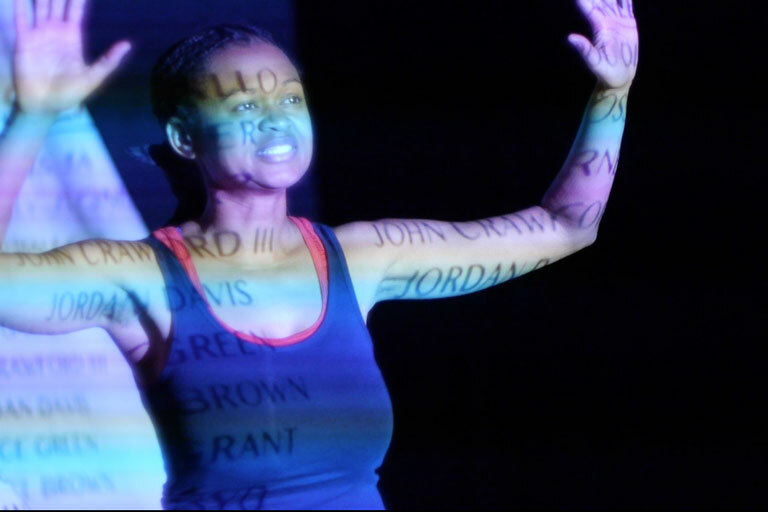 The play chronicles the nearly 400 years since the first African slaves were taken to the United States, and the current options available to the African American community. After Stewart successfully applied to perform at IUN, Wallace considered the on-campus facilities and decided a local school, Wirt-Emerson Visual and Performing Arts High Ability Academy, had a more suitable venue, not to mention students and teachers who would be excited by the prospect of hosting such a performance. “Each year on our campus, we have a call for proposals for our diversity programming series. There are funds that are provided from the chancellor’s office that my office oversees to develop programming that is educational in content, focuses on diversity-related issues, something that gets students engaged in talking about issues of diversity and inclusion, and celebrates the diversity of our region. This proposal came in, we vetted it, and thought it would be a great piece to have during our Black History Month celebration,” Wallace explained. Thinking about the community that we live in and the challenges we face, that’s the message that I wanted to convey to the students. Hopefully they’ll be able to internalize that. On Thursday morning, more than 400 Gary high school students—from Wirt-Emerson and other schools in the Gary Community Schools Corporation—as well as several IUN students, came to a matinee performance of the play. Through a grant from the Legacy Foundation, Lake County’s community foundation, Wallace was able to charter buses to bring the attendees (with the exception of the Wirt-Emerson students, since they were already in the building) to the play. Wallace worked with Dr. Cheryl Pruitt, the superintendent of the Gary Community Schools Corporation, Dr. Mary Ward, Wirt-Emerson’s principal, and faculty at Wirt-Emerson, to coordinate the logistics. Only students ages 16 and over saw the play, because of the serious nature of the subject matter that was addressed. The high-energy Stewart, a proud Gary native, was inspired by being able to perform in her hometown. “It’s been really great working with the students, because they’re learning early on about professionalism and if this what you want to do, it’s nice to have practice. It feels good to mentor as much as I can and tell the story,” she said. “I actually attended IU Northwest, and received a post-baccalaureate in community development and economic development with a focus on art. I did most of my independent study projects in the community. I worked with community organizations and figured out how to take over unused space to do art. I applied because I really love this show. IU Northwest always has some great people for Black History Month, so I was really excited. “Some of the information in the piece is local to Gary history. I grew up in one of the housing developments, and it was named after Martin Delaney. The street that I grew up on is called Garnett Street, and it’s named after Henry Highland Garnett. During the Richard Hatcher [a former Gary mayor] administration—he was one of the first black mayors in the United States—he created housing for black people, and they named the housing developments after Black historical figures. Delaney scouted Central and South America for people to immigrate. Garnett helped people get to Sierra Leone. The whole piece is about African American resistance, so I thought those were interesting parallels,” Stewart went on to say. In addition to the play itself, Wallace positioned the day as an opportunity to make it known to Gary high school students that IU Northwest is interested in them one day staying in “The Region” to attend college at IU. Upon leaving the performance, the students received drawstring bags emblazoned with IU’s familiar “Fulfilling the Promise” motto, filled with information about the university. “I’m really excited about it, because it’s the first time we’ve ever tried anything on this scale. There were a lot of moving parts, but we’ve got a lot of people interested in it and who want to participate in the future. We can use this as a part of the recruitment efforts to get more students from the community to be interested in IU, know that IU is for them, and that IU Northwest is an option for them,” he added.